October was another busy month for the Green Line project, with public information sessions in the Beltline, transit oriented development workshops in Crescent Heights/Tuxedo Park and Highland, and ongoing community conversations about area and station development plans. For the latest project news and other opportunities to get involved, visitCalgary.ca/GreenLine. Follow the Green Line story on Twitter @yyctransport #GreenLineYYC or email greenline@calgary.ca for further questions. Join us to review the proposed Developed Areas Guidebook, area redevelopment plans (ARPs) and station area plan (SAP) that will go to Calgary Planning Commission (CPC) in January 2017. This is your last opportunity to speak with City staff and see how public input has been considered in the community plans before they are reviewed by CPC and Council. Alexandra Dance Hall – 922 9 Avenue S.E. Banting and Best School – 1819 66 Avenue S.E. 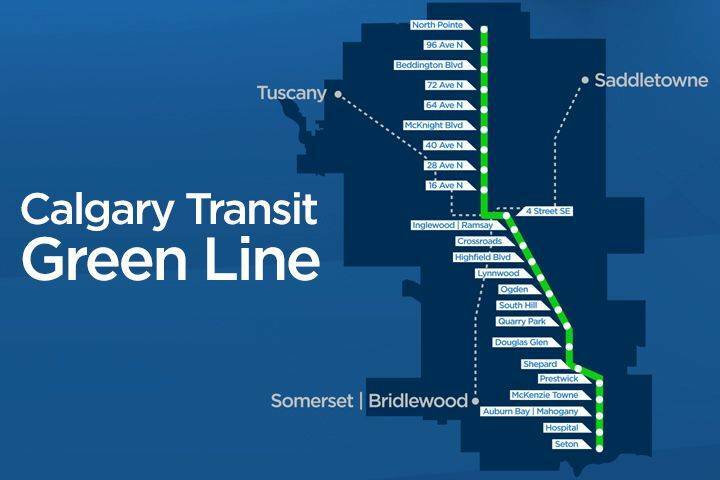 The City of Calgary is currently completing the functional design, establishing funding scenarios, staging options and determining a contracting strategy to deliver The City’s largest infrastructure investment to date, the Green Line LRT. As is typical for a program of this scale and stage of development, The City is initiating a market sounding exercise to help inform the contracting strategy process. A number of firms representing a cross-section of industry have been identified and will be contacted by The City’s advisor team in the coming weeks. Information that is received through the market sounding process will be summarized and presented to The City by the advisor team and incorporated into the contracting strategy that is currently being developed. Once funding parameters are understood and the contracting strategy is completed the overall program schedule can be finalized.